It’s Thursday, which means the weekend is right around the corner. And while we anxiously await for Friday, let’s jumpstart this particular day with some headlines and news. * Despite tying the game in the third inning, Kansas City retained the lead with one run in the fourth, which helped the Royals defeat the Boston Red Sox, 4-3. 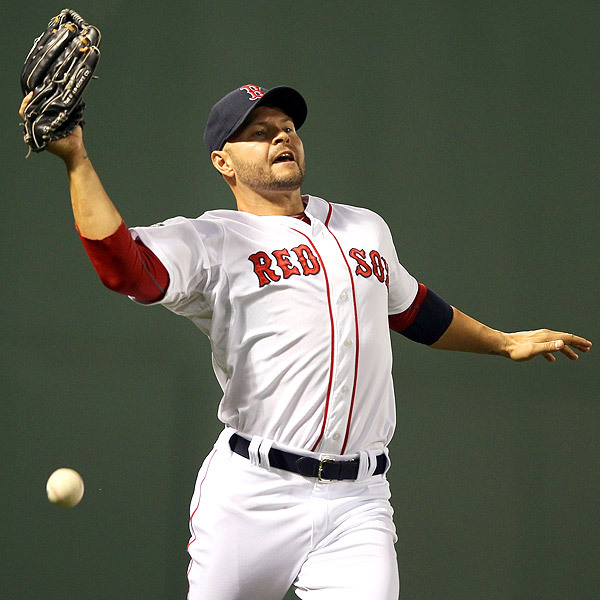 Jon Lester earned his third loss of the season, while Adrian Gonzalez registered his 19th RBI of the season. * Boston will return to Fenway Park on Thursday, and attempt to earn their second win in May against the Cleveland Indians. The Sox have only won win in the current month, which was against the Royals on Monday, but have lost seven of their last eight contests. * According to reports — Josh Beckett, who is scheduled to pitch the first game against the Indians in Boston, supposedly spent an off day last week playing golf while nursing a lat muscle. Beckett did not appear in Sunday’s 17 inning contest against Baltimore due to his “injury,” and hasn’t appeared on the bump since April 29, against the Chicago White Sox. * The Boston Celtics will attempt to end their first round series against the Atlanta Hawks on Thursday at the TD Garden. Boston has a 3-2 advantage, and has won two out of three games at home. * Finally, Hawks owner Michael Gearon Jr. told the Atlanta Journal Constitution that Kevin Garnett is the dirtiest player in league. He also claimed that the Celtics are an old team, too. It’s Tuesday, which means this week is slowly motoring along. And while we anxiously await Game No. 7 of the Eastern Conference quarterfinals on Wednesday, let’s jumpstart the day with some news, notes and headlines. * Cody Ross hit two home runs, and Daniel Bard recorded his first win as a reliever, as Boston snapped their five-game skid and defeated the Minnesota Twins, 6-5. * Against the Twins, Adrian Gonzalez recorded his 10th RBI, while Ross registered his 13th. Also, Alfredo Aceves earned his third save of the season. 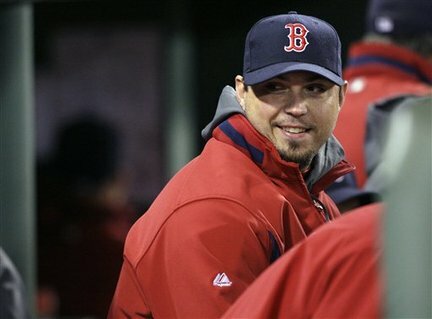 * Boston and Minnesota will return to the diamond on Tuesday for an 8:10pm start — Josh Beckett opposes Nick Blackburn. * The Boston Celtics will play their second to last regular season contests on Tuesday, too, as they welcome the Miami Heat to the TD Garden for an 8PM tip-off. Paul Pierce and Kevin Garnett may not play against the Heat, as head coach Doc Rivers indicated during Monday’s practice that both players may one of the remaining contests. * Wes Welker apparently will be making a few appearances on various ESPN shows on Tuesday and will also be hosting a live online chat, too. * Finally, the Boston Bruins seventh game of their quarterfinal series against Washington will begin at 7:30pm on Wednesday. Happy Wednesday to everyone! Let’s kick-start the day with some news and headlines from the six New England states! * The defending American League Champions, (Texas Rangers) rolled into Fenway Park on Tuesday, and walloped the Boston Red Sox, 18-3. Jon Lester last two innings, and surrendered eight hits, seven earned runs and one home run. Dustin Pedroia and Adrian Gonzalez each recorded a home run in the loss. * Boston and Texas will conclude their two-game series on Wednesday at 7pm — Josh Beckett opposes Derek Holland. * Paul Pierce netted 43 points on Tuesday, which wasn’t enough to beat New York, as the Knicks defeated the Boston Celtics, 118-110. Kevin Garnett finished the contest with 20 points, five rebounds and three assists, while Carmelo Anthony paced the Knicks with 35 points. * The Celtics will attempt to snap their one-game losing streak on Wednesday when they host the Orlando Magic at 8pm. Also, if Boston beats Orlando, they’ll claim the Atlantic Division. * Washington received some bad news on Tuesday, as the NHL suspended Nicklas Backstrom for a cross-check penalty, which occurred at the end of Monday’s contest against Boston. The Bruins currently lead their Eastern Conference quarterfinals series, 2-1, and will return to the ice on Thursday for Game No. 4. It’s “hump day,” which means this week is almost over. However, before we break out into song and dance, let’s kick-start the day with some headlines and news. * The Boston Celtics earned their 18th win since the NBA All-Star break, as they defeated the Miami Heat in Florida on Tuesday, 115-107. Paul Pierce led the Green and White with 27 points, while Kevin Garnett poured in 24 points, nine rebounds, and two blocks. Garnett finished the game 11-of-14 from the field , while his team converted 43-of-71 field goals. * The Celtics have now won four of their last six contests, and will attempt to earn their 34th win of the season on Wednesday when they host the Atlanta Hawks. * Daniel Bard lasted five innings, and gave up eight hits and five runs, which helped the Toronto Blue Jays defeat the Boston Red Sox, 7-3. Adrian Gonzalez finished the contest with three RBIs, while Kevin Youkilis managed to muster his first two hits of the season. * The Red Sox and Blue Jays will conclude their three-game series on Wednesday at 12:37pm — Jon Lester will oppose Ricky Romero. * Boston College’s men’s ice hockey team celebrated their fifth National Championship on Tuesday, as the campus hosted a parade for students and members of the community to commemorate their most recent victory against Ferris State. BC ended their season on a 19-game winning streak. * Finally, we’re one day away from the Boston Bruins first round playoff match against the Washington Capitals. And while players and coaches continue to prepare for their upcoming foe, Tyler Seguin explained to the media that “it’s a lot different this year,” especially since the team won the Stanley Cup last June.